When I was growing up, my parents did everything they could for me to have food on the table, have clean clothes, and be made to feel loved and cared for. I was assured of an education such that I wouldn't have to struggle to get a job once I finished studying. They worked two jobs and they worked really hard! They went without so we could have everything, and to this day, that's what they still do. Back in the 1980's times were different and relationships between children and parents were built on respect. 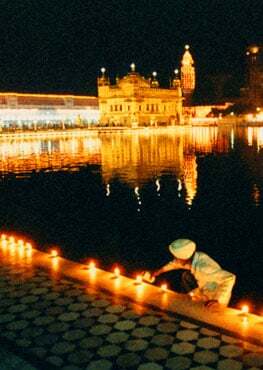 My parents always told me do my prayers and never forget Waheguru, for He gives us everything, and to always be grateful. They did their prayers daily, morning and evening, and I am really thankful to Waheguru that over the years, as I grew up, I realised the importance of parents who would give their lives for their children. But would we give our own lives for our parents? I have one sibling who is older than I and he was always the golden boy in the eyes of my parents and the family thought he could do no wrong. My brother was never spiritual and would always get me into trouble with my parents. As time went on, things got worse with him, he became very materialistic and competitive, and even though my parents always taught that we should always be kind and caring, put others first and be humble, and never compete with others, but rather help them, my brother let Maya take over him and he wanted a life of luxury, with money and cars. When it was time for him to find a partner, he found his wife online. She lived abroad, and after visiting her he decided that he wanted to move there and get married. My brother wasn't working at the time and my parents paid for his airfare to go see her and they never said anything about it. They wanted to see their son happy and, as parents do, they bent over backwards to make that so. When he made the decision to marry her, my parents paid for him to buy a place there. They did not once question the woman he had brought into his life or the fact she had no belief in Waheguru and her family was the same. There were no similarities in both our families and she gave my parents no respect, but this didn’t seem to bother my brother. The world is full of Maya and we get caught up in it when we think we have found love with a person and not the Guru. Then we are blinded and fooled, and this was the case here. Once my brother was married and set up financially he still was not grateful to Waheguru and took no step towards his Guru but instead took a step towards materialistic things. My parents withdrew their savings for him and he used this money to buy a Porsche. Slowly, slowly he would buy more expensive things, and my parents paid his credit card statements even though we were in UK and he had his own life where he lived. It didn't end there. My brother and his wife continued to take money from my parents. When they offered to give him money there was never a time he said, “No you have done everything for me and I want to do sewa for you." Greed took over him and his wife and they have not spoken to my parents for over three years now. This is probably because my parents soon realised that one doesn’t keep giving money to those who are not in need, and that for pointless reasons. Our faith teaches us to give selflessly to those who may not have food, or a warm house, or to those that need support. The three principles of Naam Japna, Kirat Karmai and Vand Ke Chakna made my parents realise that this child of theirs doesn’t want to come on this path and take that step towards his guru. In fact, he said things like “All dad does is paaht all day.” Over time, my parents realized, as their faith became stronger and they saw the love they received from the Sangat, that this was the turning point for them. My brother is a living example of many things which Gurbani tells us to stay away from. He is attached to panj chor and this consumed him. He did not realise that everything in this world, including ourselves, is temporary and nothing will go with us except Waheguru Naam and the legacy we leave behind through our words and deeds. Life is so short. I recently lost a good friend to Cancer. He was an example of a true selfless, sewadar. He would never say “me” or “mine” in his sentences. He lived for others and he left a legacy which made me think about how things have changed so much. We are very easily taken over by Maya and we don’t realise that nothing is ours and it never was or will be. Money cannot buy happiness. It can buy us temporary things and we need it to get by, but we need only enough to live gracefully and share with others, nothing more. Why would anyone want so much money that it blinds them and takes them away from their Guru? 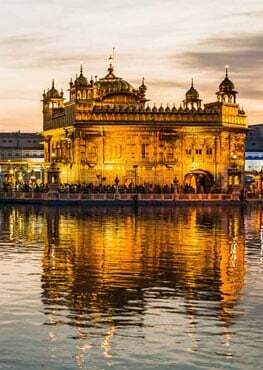 Being a good person, thinking good of others, speaking sweetly, behaving gracefully and attaching yourself to Waheguru Charan is the most fulfilling way to live our lives. Every morning, my dad would make tea for us. He would cook and clean and my mum did the same. They did everything. They are the most loving parents who not only treat their own children generously but who welcome anyone who comes to our door with open arms. Why is it that when we grow up, we do not give that respect back to our parents and take care of them? It is our duty to care for them and respect them because, one day, we will grow old as well and we may get the same treatment that we give to our parents. The grace we give is the grace we live. For all of those who do take care of their parents, and who love and respect them, I salute you! Waheguru has blessed us with the parents we have and that’s how we got to where we are today. Thank you, Waheguru Ji for blessing me with the parents you have done, and God bless them and all the parents out there. May Waheguru Ji shower you with blessings.